ConvertXtoDVD - download in one click. Virus free. Download the latest version of ConvertXtoDVD with just one click, without registration. It is a standalone setup package that contains the full offline installer for ConvertXtoDVD. ConvertXtoDVD is a video format converter which gives you an easy solution to burn a DVD with your favorite or valuable movie. Even if you are a novice in video editing and have no desire to go through all the settings for the conversion, you can use this software. Perhaps, the greatest thing in ConvertXtoDVD is its user interface. It's easy-to-understand, user-friendly, without any excessive information. So, if all you need is a fast conversion without technical details, this program will do just that. On the other hand, if you want to customize the conversion and choose the settings you prefer from your experience and knowledge, ConvertXtoDVD will provide this option, too. Adjust brightness, contrast, and aspect ratio, edit the video, add chapters and subtitles to your DVD with ease. 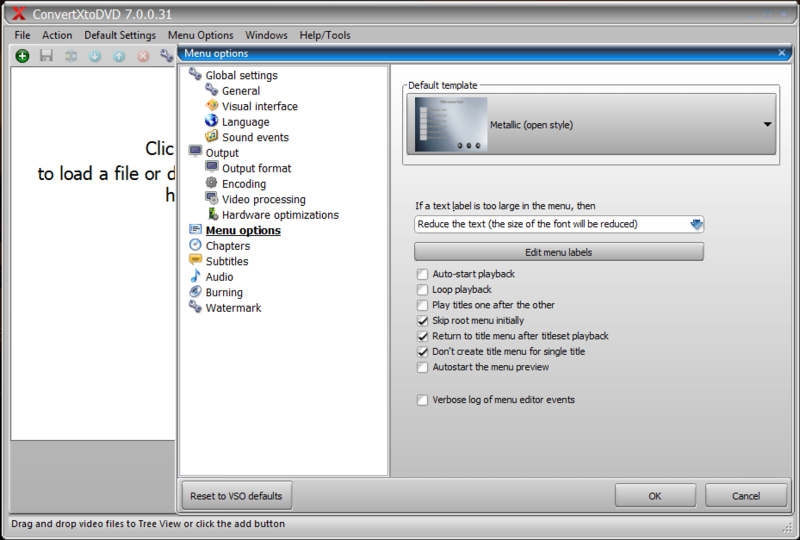 ConvertXtoDVD provides basic editing functions. You can merge and split video, pad and crop it, rotate if needed. Also, if you need to synchronize video with audio or fix subtitles timing, you will be able to do that. Finally, the converter has a built-in menu creator, so you can create professionally looking and friendly DVD. Once again, ConvertXtoDVD provides solutions for both beginners and experienced users. Use presets to avoid bothering with settings or go for the customized menu if you want to. The menu creator allows to save your own templates, add intro video, customize background animation. All in all, ConvertXtoDVD is a nice and fast solution for DVD creators. It's easy and powerful at the same time. And it has all the features you'll need to make a great DVD: editing tools, menu wizard, support for wide range of video formats, and so on.